Family owned since 1948, Cooper’s Seafood serves some of the best seafood in all of Scranton! The staff is incredibly friendly and the unique decor makes for an one of a kind dining experience. Take-out is available for those who prefer to enjoy great seafood at home. With good prices and a casual atmosphere, this is the perfect restaurant for friends and family alike. It is consistently recognized as one of the best restaurants in Scranton. You can’t go wrong when ordering their Fresh Grilled Faroe Island Salmon. We highly recommend it! Cooper’s Seafood is surely a keeper in The Electric City. Cooper’s Seafood is a restaurant of great history, great food, and great people. After returning from overseas during World War II, John J. Cooper opened up a small bar and dining room in Scranton. It quickly became popular and turned into an instant success. John passed away in the late 1970s, but the Cooper’s legacy continued. He left the restaurant to his growing family. 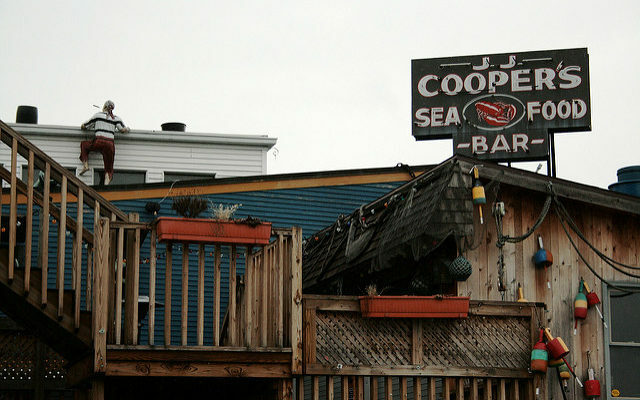 Ryan Cooper, along with his parents and uncle, turned Cooper’s Seafood into what it is today. The restaurant features a life sized pirate ship, a light house, an outdoor dock, as well as a whale room and train room. Cooper’s Seafood has seating for over 600 people. A second restaurant was opened in 1991 in Pittston. 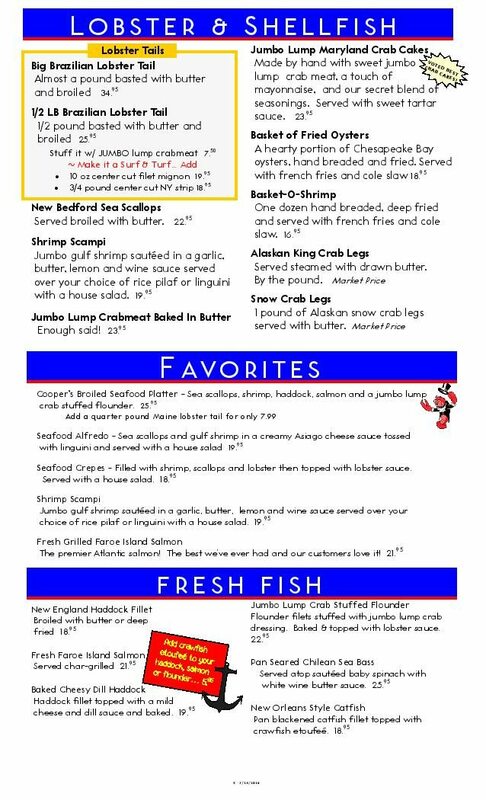 If you can’t get to either of these locations, Cooper’s Seafood also offers off premise catering. The restaurant’s aesthetics are certainly pleasing to the eye, but the food is what keeps bringing people back. 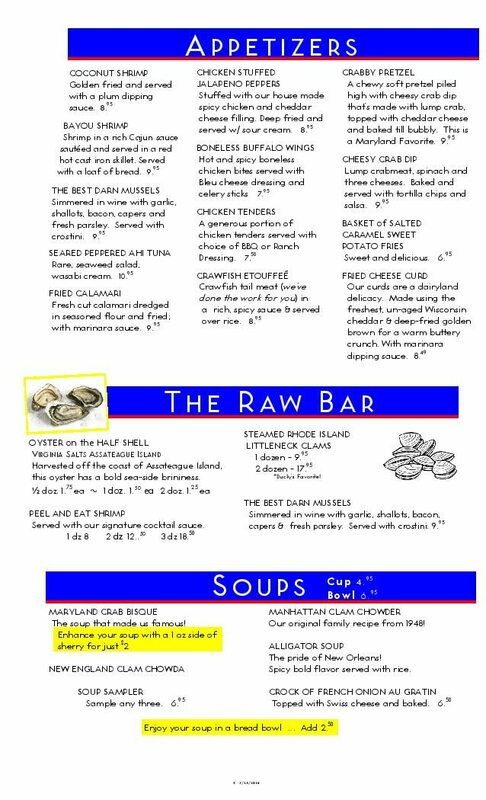 The menu changes monthly based on what is fresh and seasonally available. The restaurant often patronizes local farmers markets so that only the freshest ingredients are used. The popular deep fried sesame brussels sprouts come directly from these markets. 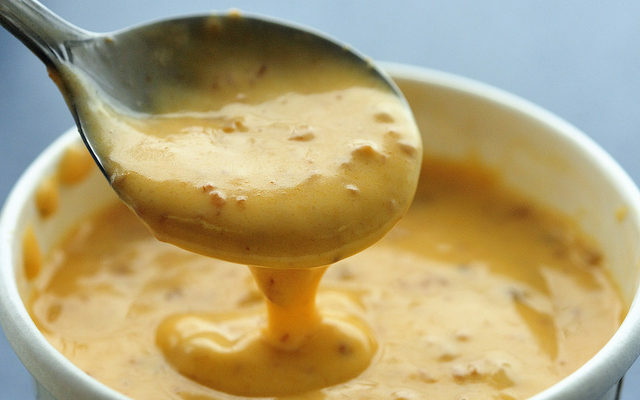 The crab bisque is undoubtedly the most popular item on the menu. The “top secret” recipe debuted in the 1960’s and has sold ever since. Over 200 gallons of bisque is served per week – thankfully, there are many boats in the restaurant. 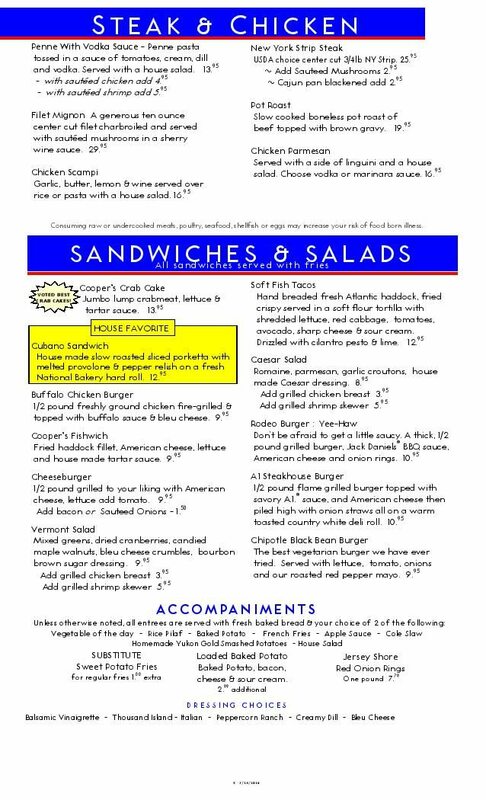 Don’t forget to try the fish tacos, the burgers and chicken sandwiches, and especially the fresh cut fries. 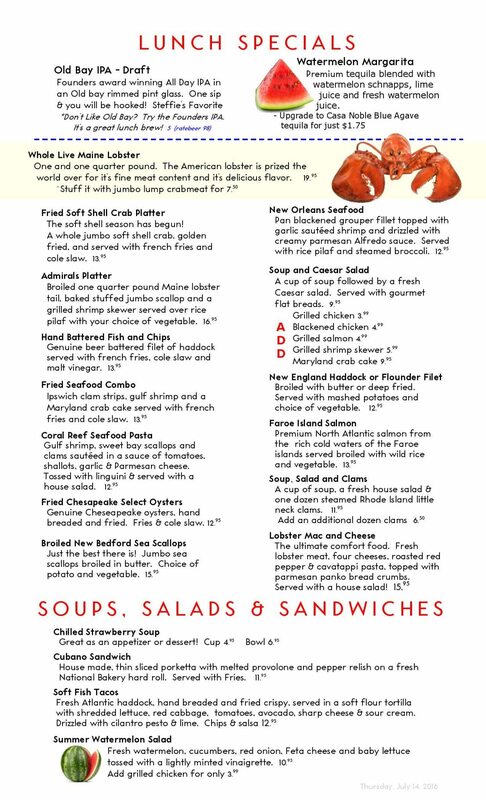 Keep Cooper’s in mind during your birthday, as they offer a FREE lobster dinner! Check out their website for those details. Ryan Cooper explained that it’s not just the fresh food, the endless selection of beer, or the large amount of memorabilia that makes the restaurant so special – it’s also the people that make it all happen. There are employees that have worked at Coopers for more than 20 years and have committed themselves to the great service that the restaurant offers. The community service that Cooper’s has given back can be an article within itself. Cooper’s Seafood works with the Ronald McDonald House, United Way, Drink to Pink, Vikings Helping Vikings, the Everhard Museum, Catholic Social Services,and many other non-profit organizations. The charitable contributions have left their footprint on NEPA and the surrounding communities both near and far. 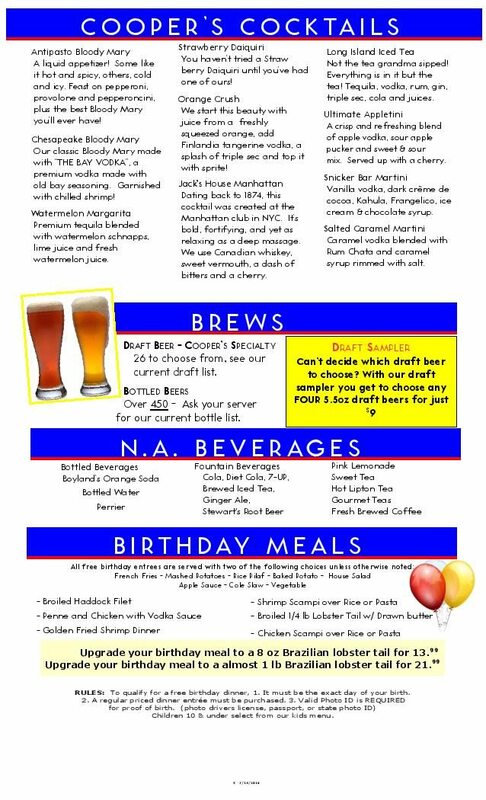 So the next time you’re looking for a fun night out with great people and great food, visit Cooper’s Seafood at either one of their locations below.